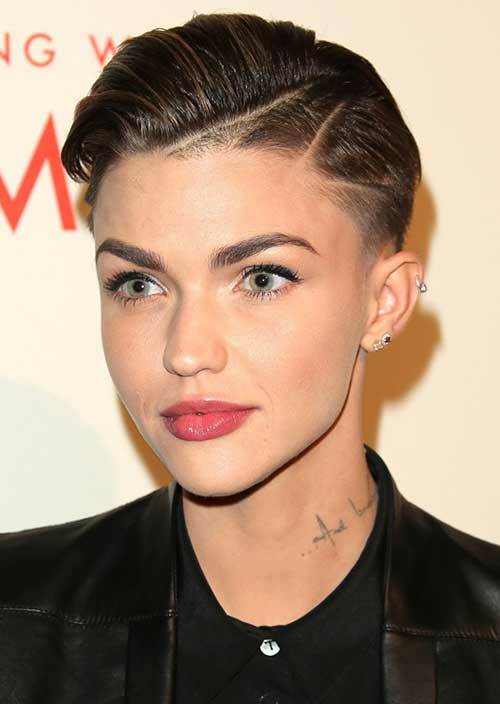 Want to change up you whole look with a short hairstyle? 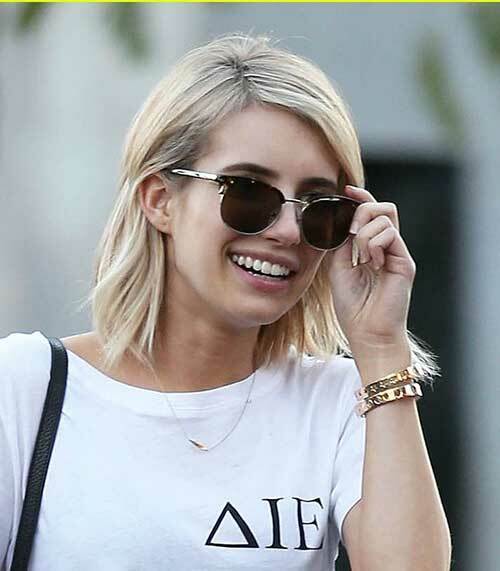 Here in this post you will find 20 Chic Celebrity Short Hairstyles that can be inspiring for you! Short hair has many advantages over longer hair. First it will require less hair care products and it is extremely in trends lately that may celebrities sport short hairstyle gradually. From Jennifer Lawrence to Miranda Kerr we have choose popular short haircuts among celebrities. 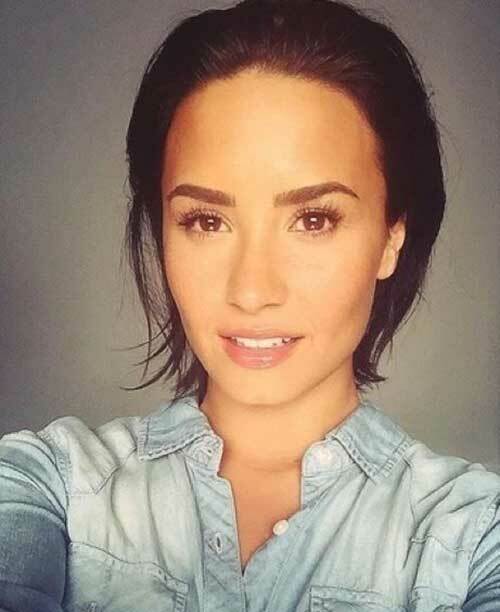 Let’s take a look at these trendy celebrity short hairstyles! Here is a trendy bob hairstyle with tousled waves and layers. Her inverted bob and bangs looks really stylish with her make-up. 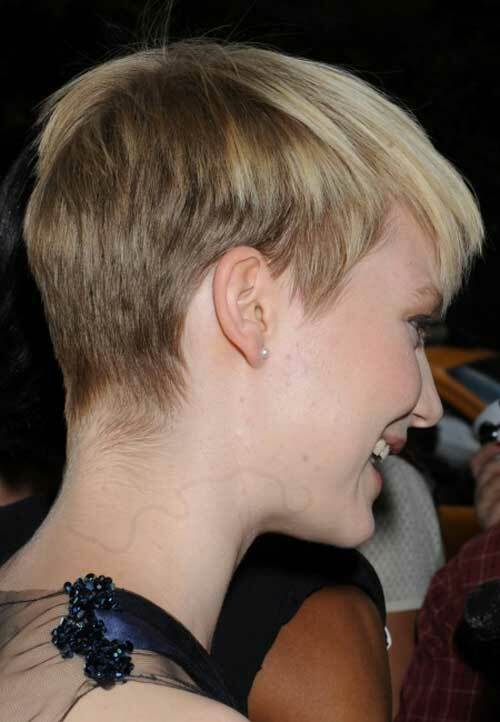 Look at this blonde layered pixie style, it is daring but it can show off neck of swan. 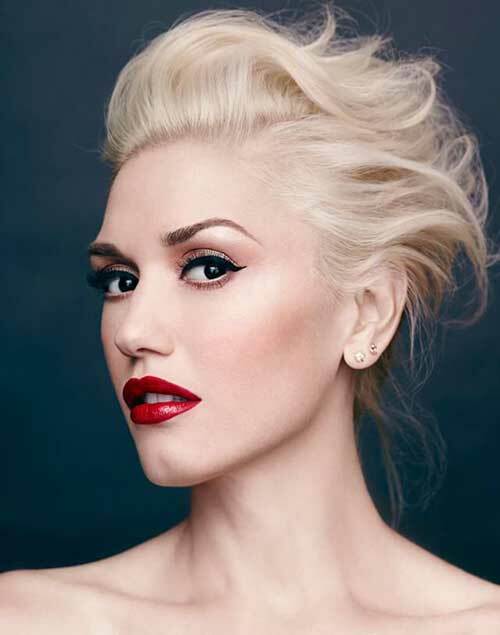 Gwen Stefani looks really gorgeous with her platinum blonde hair and velvet red lips. This side swept bangs with bob hairstyle is great for women of many different ages. Her dark hair color and bangs make a statement of her facial features and her brown eyes. Red hair color and side swept long bangs make color of her eyes pop nicely. 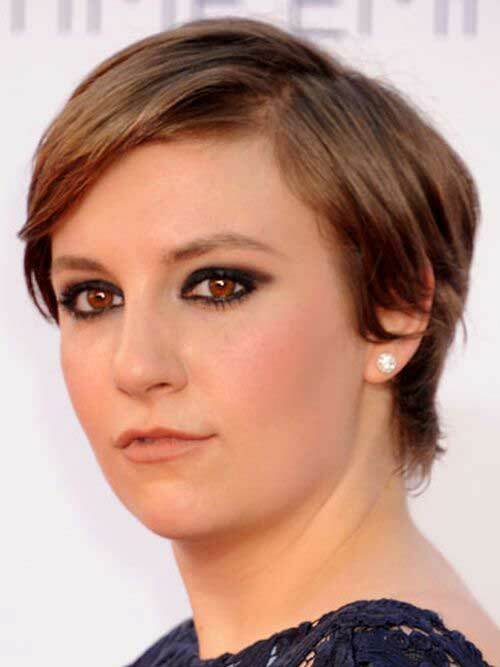 Lena Dunham creates a classy look with her pixie cut by styling it side parted. 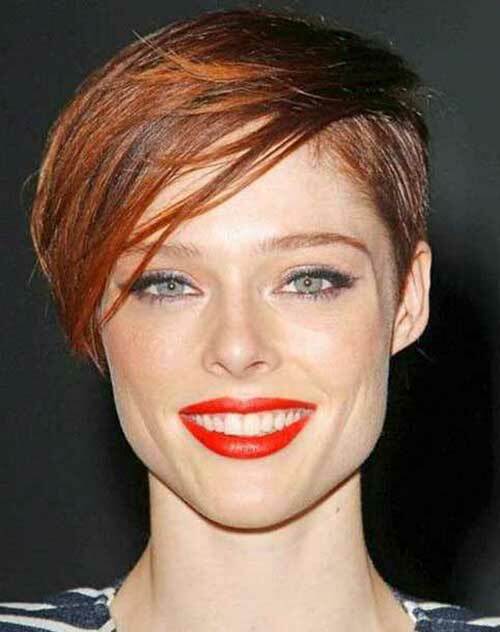 Here is another slicked and neat hairstyle for short hair. This blonde bob hairstyle looks so young and fresh that can be worn by younger women. This ombre bob hair is defined with long bangs and she looks really nice with it. This blunt bob hairstyle looks just perfectly smooth and slick. This is a great style for everyday look, her hair messy yet stylish. Jennifer looks really adorable with her new beachy waves and bob hairstyle. Here is a great example of a short bob hairstyle for fancy ladies. You can make your eyes pop with an ombre color and short hairstyle. Look how gorgeous she is with her lightly highlighted bob hairstyle! Her honey blonde bob hair looks really healthy and shiny and layers add some volume to whole hair. Wanna go with a crazy hairstyle? This pixie cut may be your next hairstyle inspiration! 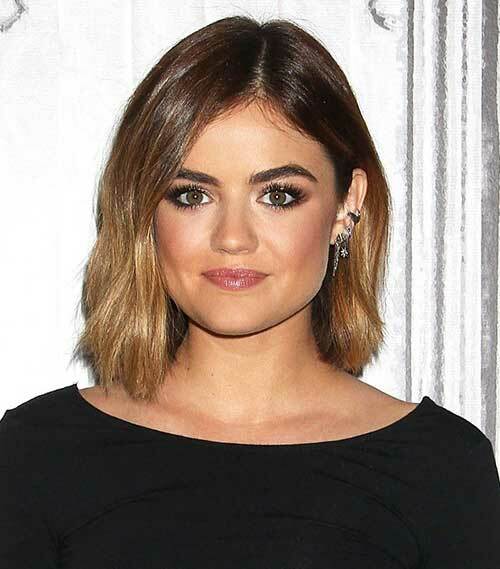 Our last celebrity short hairstyle is a short bob with layers that can be worn by women with any hair texture.